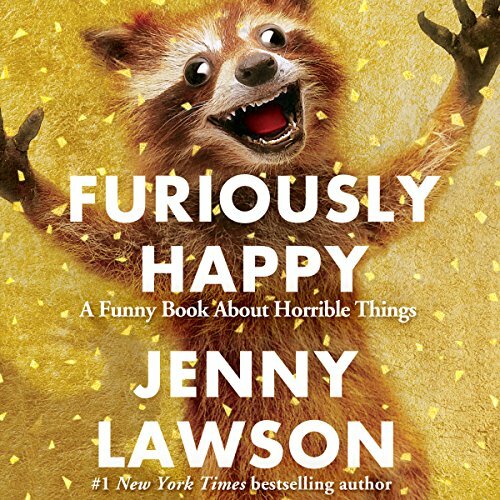 In Furiously Happy, number-one New York Times best-selling author Jenny Lawson explores her lifelong battle with mental illness. 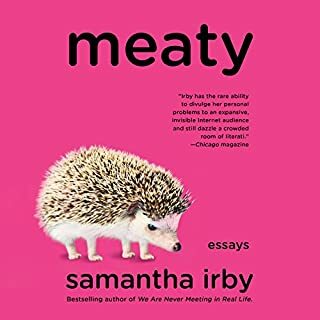 A hysterical, ridiculous book about crippling depression and anxiety? That sounds like a terrible idea. The audiobook contains a bonus chapter only available to listeners. I love Jenny Lawson. Sometimes her ramblings take me too far off topic; perhaps that's the goal? In any case, I could listen to her talk all day. For my own mental health I had to take this one in small doses though. As a person who practices psychotherapy and has experience in medical social work, I have to say that I found this book interesting, funny, and heart breaking. There were moments when I paused it and wrote down a quote to share with a client in a later session because her description on some things with mental health were so on key. My favorite chapter was the one on anti-psychotics. I believe some individuals with mental health illnesses will find this book very comforting. I believe there are moments when most of us who have a diagnosis or work with those who do can say "Oh my gosh! Yes! That's exactly it!" However, as a professional who does this for 40+ hours a week, I found myself having difficulty reading the 2nd half of the book. It's not to say it was a poor half, but because I was getting to a point where I didn't want to read anymore. I felt like some of her tangents went on too much and while I know it was important because she was letting us into her brain and how it operates, I found it exhausting. To sum it up, I do think anyone who has struggled with a mental illness would find aspects in this book that they could relate to and find joy in it. I also think it's a good read for anyone who loves a person with a mental illness to receive some clarity. Loved it! I was in a dark place with my depression and reading this helped pull me out. She is so funny and just so her that I'm now a huge fan! This book is a wonderful insight into living with mental illness. It is witty and full of humor and hope. Yes, this book delves into the dark side of depression but offers help and light. I also enjoyed listening to the author read this book. It makes it even better. MANY laugh out loud in my work cubical moments! 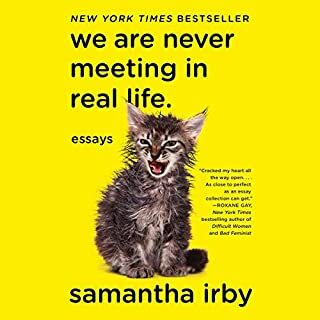 What made the experience of listening to Furiously Happy the most enjoyable? The narrator is actually the author of the book and she did a fantastic job. It is common with many books I listen to the author narrating their own book is a bad idea. She did a great job and honestly made it more enjoyable than if some random person did the narration. She was able to reenact the actual ciaos in her head. I loved Rory! The story of Rory and his random adventures had me laughing out loud in this quite office of hundreds of people. People would look at me like I lost my mind. However, pretty much all the characters have their own awesomeness. What does Jenny Lawson bring to the story that you wouldn’t experience if you just read the book? She brought it to life. I think if I was reading the book it would be a bunch of randomness that seemed to have no reason and wouldn't of got passed the first few chapters. I listened to it all in one setting it was that good. I Loved this book. Surprisingly, I don't typically enjoy comedy books but needed a change of pace. I honestly thought it would be a book that I listened a hour a day until it was completed in between chapters of my other books. However, I put my trilogy on hold to listen to this from start to finish! If you easily offended by adult content, language, offensive humor, or random awesomeness this isn't your book. As Jenny states in the beginning "If you don't enjoy this book perhaps your not crazy enough to read it." Best motivational quote from the book: "Pretend your good at it"
This book is definitely "a funny book about horrible things" but its so true for those of us who struggle with mental disabilities. I feel like this book closely relates to my life that I questioned if she read my journals. Loved it. 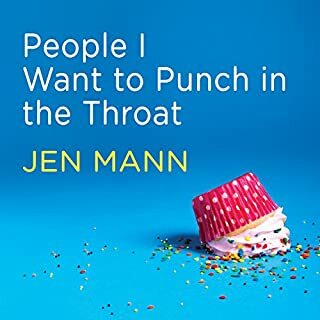 This might be the first book in my audible history of me listening to again. In conclusion: POOR VICTOR! ( her husband) they are polar opposites but it makes for a great story. Plus, a great insight of their lives. Jenny is a godsend & I don't know how I would've gotten through many a nights without her hilariously relatable words. I fell in love with her first book & waited impatiently for this release. I am not disappointed in the least. Even if you don't suffer from mental illness she will have you in stitches! So many awkward moments & uncomfortable scenarios you can't help but relate to your own life. Especially if you're a woman... Finding humor in the darkest moments is imperative to my survival. Jenny has helped me with this more than I can ever put into words. BUY THIS & BUY IT NOW! I prefer the audio as it animates her writing for the most pleasurable laugh out loud experience possible. Then again, maybe that's just because of my ADHD & anxiety induced insomnia... Either way I'm confident you won't regret it! Ms Lawson shared herself so completely... letting herself be vulnerable, and allowing me to fully appreciate her thoughts on mental illness. I, too, suffer from depression and anxiety and have sometimes thought myself quite mad. This book allowed me to review my own thoughts about this illness and the silly craziness of it. It allowed me to see the positive and to realize that I too can be furiously happy. The book is funny, silly, open, real and sometimes crazy. I loved that. 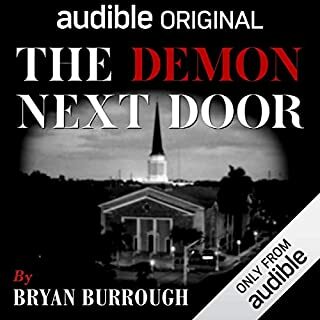 I have a hard copy of this book, however I drive several hours a day, so I decided to download the audible book as well. Win. Enjoy Jenny's narration. 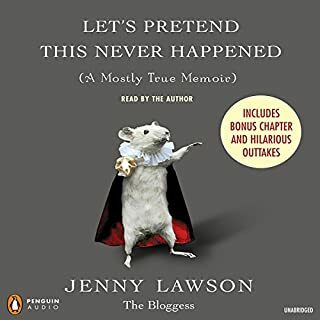 Jenny Lawson had me rolling on the floor laughing, which is always good... Except when you're driving. Maybe it's just my personal taste, but I can't stand her voice. I think she is trying too hard to come across as funny and witty, and in my opinion comes across as outrageously irritating. I have tried multiple times to get more than a third of the way through this book, but I can't. 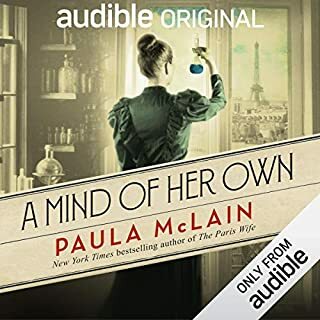 Also, parts of the book do not translate well to audio listening: for example, multiple chapters have dialogue between her and Victor, and I had to skip through them because the format was incredibly tedious to listen to. I too struggle with mental illness, so I really wanted to relate to her, but I mostly felt bothered.